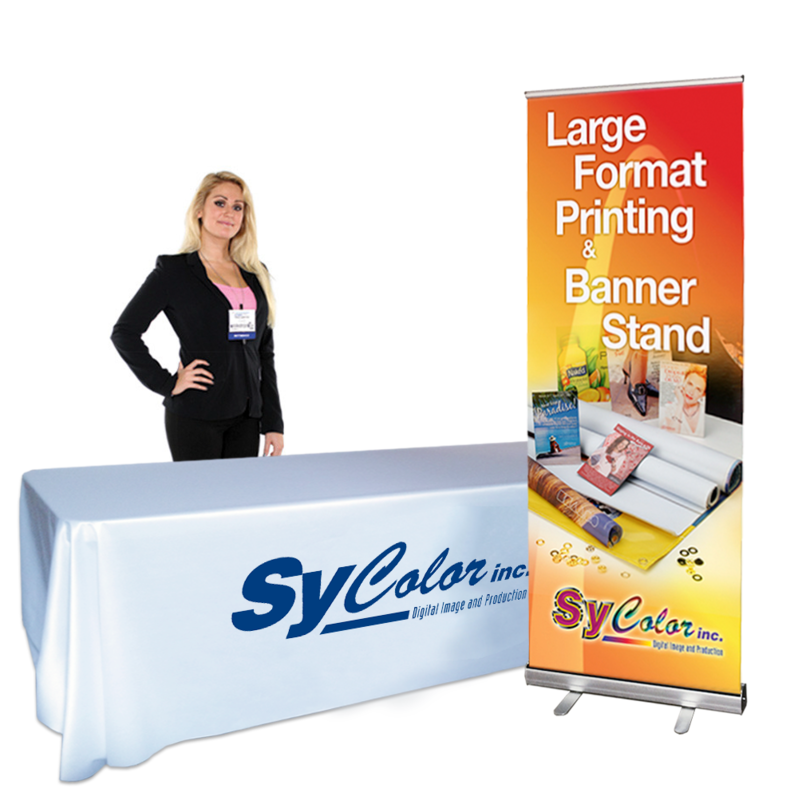 Categories: All Products, Retractable Banner Stand, TABLE THROWS, Trade Show Displays. The Roll up display stands and 8ft. 4-sided table throw full color custom printed are an incredible value because of the large graphic impact for a low price showcase package bundles 2 of our Best-Selling displays. Use together at a trade show, in a showroom or on-the-go!